Hope to see you all again after we open in May 2019. Southern “Okanagan” BBQ in the heart of the Valley! Visit us for a new spin on casual dining. 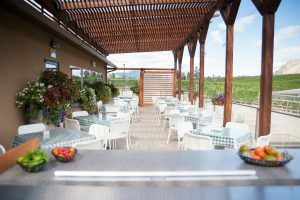 Enjoy the vineyard view from our tasting room patio while you dig into some amazing appetizers and salads, local meats on the smoker, flatbreads, and creatively inspired sandwiches. 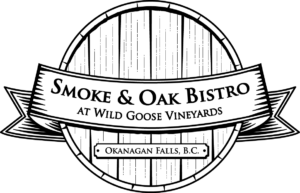 The Wild Goose Bistro team believes in using local products and flavours in new ways to bring the world of cuisine to Okanagan Falls. Take a culinary trip around the world with a menu inspired by the fiery heat of South American and the smoke flavours of the Southern USA, all tied together through the freshness of local ingredients. Vineyard cuttings and wine barrels are used to smoke our meats in an authentic competition worthy smoker, imported directly from Tennessee. At Smoke & Oak we create food for everyone, whether it is hearty and filling or light and savoury. 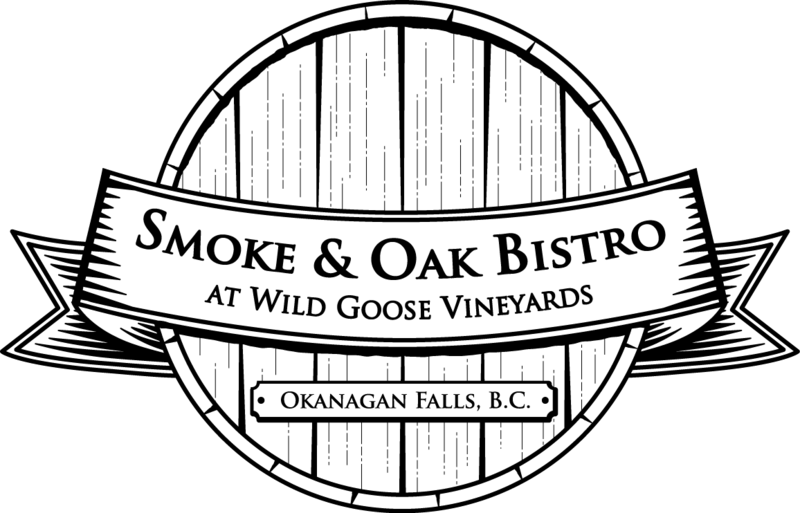 The Bistro team and three generations of winemakers at Wild Goose welcome you to the winery to share a table and a glass of wine with your friends and family, in a fun, family friendly BBQ environment.